A city full of life!! Yes, Madrid is a big European city that stuns everyone with its authentic Spanish experience. It’s a cosmopolitan land that invites many entrepreneurs for business meetings and events. It’s relatively hard as nails to describe the incredibility of the land in just a few paragraphs. A beautiful cultural and business capital, the cityscape definitely has a lot to offer. 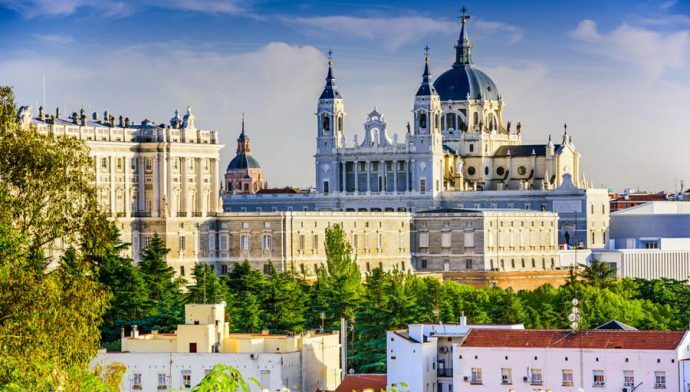 Fly business class to Madrid in luxury and get set to glimpse the city’s most amazing attractions. Madrid has some extraordinary sights that’s sure to captivate your eyes. While in Madrid, it’s entirely essential to discover Prado and view its prodigious collection. Ratiro Park is the city’s green paradise full of majestic gardens. When talking about royalty, the Royal Palace occupies a significant position. Furthermore, don’t forget to stroll around Gran Vía that’s essentially a buzzing avenue in Madrid. Next, visit Plaza de Cibeles, a popular plaza of the landscape. The sumptuous hot chocolate Churros at San Ginés is relatively the most luxurious thing. Other must-see attractions of Madrid include Reina Sofia Museum, El Rastro, Mercado San Miguel, Plaza Mayor and many others. From September to November and from March throughout March are the shoulder months to plan a vacation in Madrid. This is the time when the city comes alive. As Madrid is well-connected from many cities, it is relatively easy to reach the destination. If you are a frequent flyer and want to avoid the wear and tear of long-haul routes, booking business class tickets is essentially the best option. Equipped with powerpoints, fully reclined lie-flat beds and touchscreen monitors, your privacy in the luxurious top-notch flights is fully assured. Madrid-Barajas Airport (MAD) is Madrid’s major airport and the largest airport in Spain. Many non-stop flights fly from several primary destinations all across the globe. More than half of the traffic is handled by Spain’s flagship carrier Iberia Airlines. More than 80 international flights provide direct connectivity to Madrid from the United States. Hotel Wellington is a prestigious accommodation option well known for its extraordinary facilities and fully facilitated business center. Supremely-stylish Barceló Emperatriz makes business travelers feel grand. The palatial Hotel Barceló Torre de Madrid is sweeped in passionate interiors and flamenco-themed artworks. Westin Palace is another five-star hotel that has luxurious capacious rooms and suites adorned with elegant décor. Henceforth, don’t wait for long! Book discounted business flights to fly in that ultimate grand style.